Is the world really ready for a quad-core phone? Whether we are ready or not,the HTC Edge might be the first. The photo above has leaked along with a bunch of rumored specs that include it being powered by NVIDIA’s latest creation, the Tegra 3. 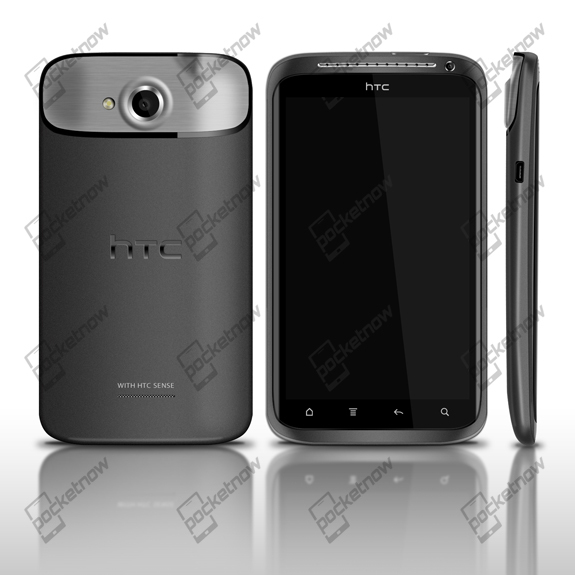 It could also sport a 4.7″ screen, Beats audio technology, 1GB of RAM, 8MP camera, and HTC’s new Sense 4.0. No word yet on if it will be released with Ice Cream Sandwich, but you have to imagine that with those specs, that Android 4.0 will become a reality before too long. Rumored launch of late Q1 or early Q2 has been tossed out. So what do you guys think? Are we ready for quad-core processors in phones? Before you toss out the, “No, because it will only last for about 2 hours with that kind of power” comment, understand that NVIDIA is claiming that their Tegra 3 can improve battery life greatly over their own dual-core chipset thanks to a secret 5th core in their processor. I think the real question is, “Do we really need a quad-core processor in phones?” I’m sure that we asked similar questions back when Intel was pumping out a new chip every 2-3 months for computers, but is it even necessary in a phone? As phone operating systems, apps, games, etc. become more robust on small screens, we are inevitably going to need more power. Do we need it today or in a month from now? That remains to be seen. What I will say, is there is no better time than now for companies like NVIDIA to start putting out the first batches, optimizing the hell out of them, and then getting us ready for the day when Android or iOS become so processor intensive, that we won’t be able to live without anything less than a 1.5GHz dual-core something or other.